A hot new type of workout called high-intensity interval training, or HIIT, promises the benefits of a traditional workout in under 10 minutes. Though HIIT may sound like hype, a growing body of research suggests this may be one of the best ways to get fit. We recently tried one type of HIIT plan called the seven-minute workout and came away with some surprising results. When I first heard about a fitness routine that promises the heart-pumping benefits of a sweaty bike ride in seven minutes, I brushed it off as little more than hype. I was wrong. Turns out it’s entirely possible to get the benefits of a traditional hourlong workout in just a few minutes – so long as you’re following a relatively recent new approach called high-intensity interval training, or HIIT. As opposed to workouts that involve spending 45 minutes to an hour doing things like cycling or running and then another 20 or so minutes doing muscle-building activities like planks or sit-ups, HIIT compresses all of that effort into a narrow frame of seven to 15 minutes. Several recent studies suggest this regimen confers health benefits that are at least equivalent if not superior to traditional exercise. The latest is in the June issue of the journal Certified, which is sponsored by the nonprofit American Council of Exercise. In the study, exercise scientists who compared people who did a HIIT plan for six weeks against folks who did a traditional workout for the same period found that people in the interval-training group saw essentially the same improvements in heart health and muscle tone as the traditional exercisers – but most of those benefits cropped up sooner, in less than half the time. During a typical interval-training session, you put your all into a series of short bursts of movement – typically moves like sit-ups, jumping jacks, or planks – and spend 30 to 45 seconds on each one. After each brief interval, you rest to catch your breath and then move on to the next exercise. At the end of the workout, your whole body should feel it. Given the growing body of research supporting this approach, I recently gave one of the workouts a shot to get a sense of how it works – and I was surprised by how much I could sweat in such a short time frame. I felt tired afterward, and my muscles were sore the next day. Since then, I’ve incorporated a HIIT program into my weekly fitness regimen, and I love the way it makes me feel. Other people appear to agree. For the latest study, researchers took a group of 48 men and women aged 21 to 59 and randomly assigned half of them to a HIIT training program and the other half to a traditional workout plan. 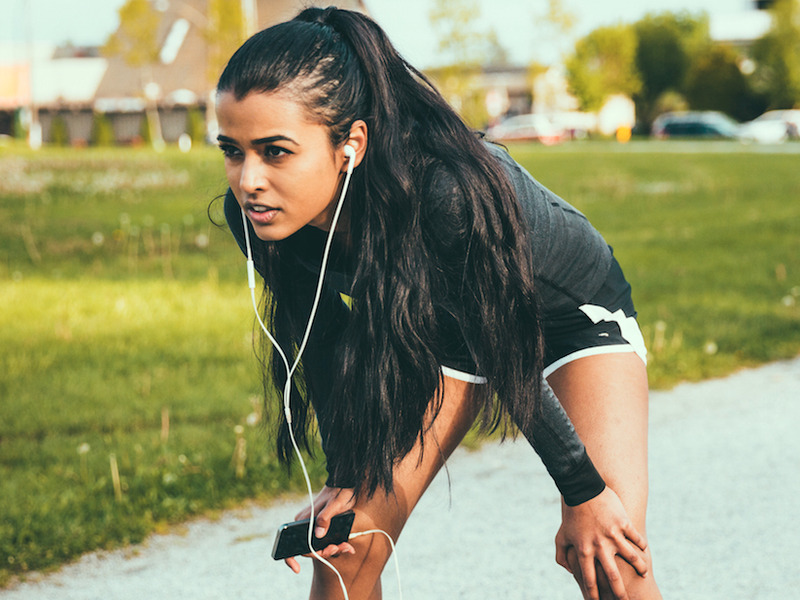 After six weeks, people doing the HIIT regimen saw greater or equal gains in several measures of heart health and muscle tone than the traditional exercisers. Those benefits also cropped up sooner in the folks on the HIIT plan – in some cases by as much as three weeks earlier. That’s a significant finding, especially considering how many people give up on a workout plan when they fail to see or feel any results. Chris Jordan, an exercise scientist who created the HIIT workout I tried, called the Johnson & Johnson Official 7-Minute Workout, is convinced that less is more when it comes to fitness. Interval training “can provide similar or greater benefits in less time than traditional longer, moderate-intensity workouts,”he told Business Insider in April. Jordan isn’t the first exercise scientist to recognise this. A handful of recent studies comparing traditional workouts with HIIT-style regimens have come to similar conclusions: The interval-training plans are either better than or equal to regular exercise. Tabata training, one kind of HIIT workout named after the Japanese National Institute of Fitness and Sports researcher Izumi Tabata, is made up of several four-minute exercises. Tabata and his team became some of HIIT’s pioneers after publishing a seminal 1996 study suggesting that short bursts of intense strength training could yield better results than a traditional workout. In 2013, researchers published a review of studies in the International Journal of Cardiology looking at nearly 500 participants who did either regular exercise or interval training. While they found roughly equivalent benefits in terms of heart health for people who did both workouts, the interval trainers had better peak oxygen uptake, an important measure of endurance. A year earlier, a study published in the Journal of Sports Science and Medicine comparing a group of runners who did traditional, continuous runs with those who did interval training found that both groups achieved nearly the same results, but again, those in the HIIT group had superior peak oxygen uptake. And a more recent study in the journal Diabetologia found that doing walking interval training – an hour of alternating between three minutes of brisk walking and three minutes of stopping – helped people with diabetes control their blood-sugar levels far better than simply walking at the same pace continuously. Whatever your preferred workout, the most important thing is that you commit to doing it regularly. “Plan ahead, schedule – the most important thing is to do it on a consistent basis,” Jordan said.